We bring a deep understanding of our clients' business objectives and corporate cultures to advise them on compliance with laws affecting the workplace. We provide employment counseling for many issues, such as avoiding and handling claims of employment discrimination, structuring employee separations to avoid claims of wrongful or unfair dismissal, and developing trade secret protection programs. 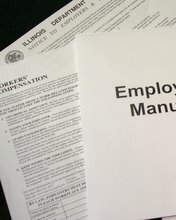 We regularly counsel our clients on employment disputes, reductions-in-force, personnel policies and employment agreements, and affirmative action programs. We help defend employers against all types of charges, including wage and hour and other employment actions, discrimination, wrongful discharge, Family & Medical Leave Act (FMLA) violations, and sexual harassment. At times, we may also use litigation to protect our clients from trade secret theft and other employee misconduct. In addition, we help resolve contract disputes, including those involving non-competition covenants and termination. Copyright © 2015 Staub Anderson LLC. All rights reserved.